Air Freight includes the transfer and shipment of goods via an air carrier. CMS air freight shipments travel on commercial airlines and go wherever planes can land! Fast Service Worldwide. Air Freight is a necessary and valuable option when companies need timely shipments to almost anywhere in the world. This is especially true if your company is a small or mid-sized company because it allows you to participate in international trade in both a timely and effective manner. Security. 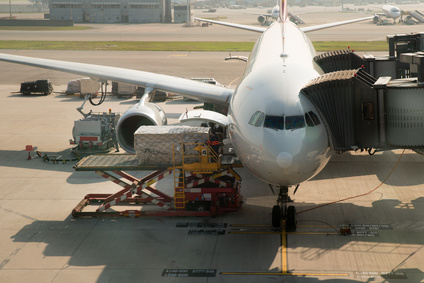 Another benefit of air freight service is that it includes a high level of security since your shipments are traveling through tightly managed airports. Managing your air freight. CMS professionals are Air Freight specialists. We can help determine the most reliable and cost-effective means for your shipments. We will also handle your shipment personally, calling you to tell you when it has been delivered. And we can take care of your paperwork too. Here are some of the benefits of working with our Air Freight services division. Pick-up service when YOU need it. We handle air freight of any type – whatever you’re shipping merchandise, goods or cargo. We take care of international courier & freight and domestic freight. We handle same day, overnight, 2-day and deferred. Door to door, personalized service. We even call you to tell you when it has been delivered! Hate paperwork? Let us take care of it for you – commercial invoices, export declaration, house waybill – not a problem! Custom padding or crating – we’ll protect your property! Our freight staff are professionals – they understand all the nuances of the business! Call CMS at 718-238-2919 and we’ll take special care to make sure your pick up and delivery is handled correctly.